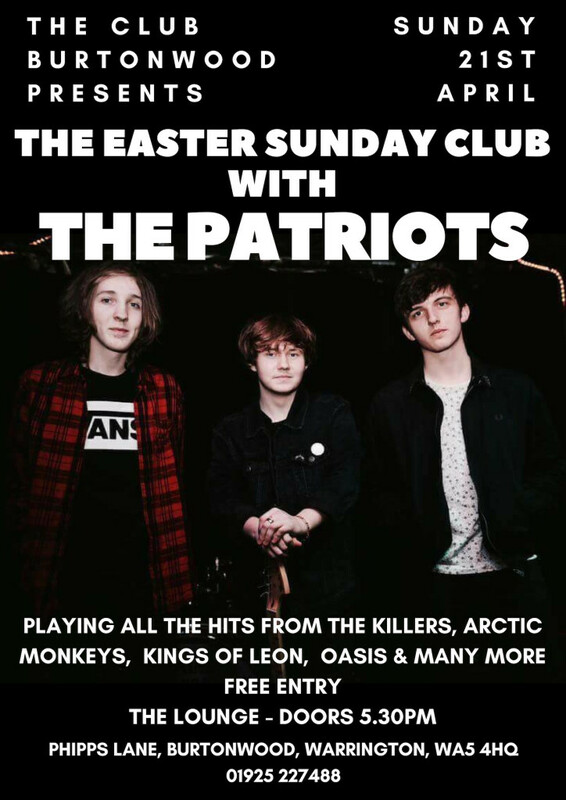 We're delighted to welcome back the always fantastic The Patriots for The Easter Sunday Club! Performing all the indie dance floor hits from the likes of The Killers, Arctic Monkeys, Oasis and many more make sure you bring your dancing shoes!! !